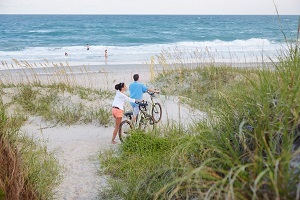 Summer in Emerald Isle, NC., is known for its incredible views, adventurous activities, and all-around family fun. But when summer is over, the fun is just getting started. 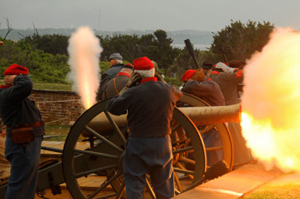 Fall in Emerald Isle is an ideal time to visit. Between the picture-perfect weather and uncrowded beaches and town, you will love your relaxing getaway. Let us help you plan an unforgettable fall getaway on the Crystal Coast with these 5 Planning Tips. The forests near Emerald Isle are breathtaking, and the area is full of hiking trails that will leave you speechless. 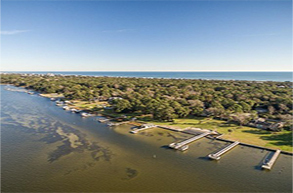 The Emerald Isle Woods Park offers a leisurely hike with generous views of the Intracoastal Waterway. And don’t forget your camera! With the following hiking areas, you may see white-tailed deer, black bears, egrets, woodpeckers and more. No matter your hiking skill level, there is likely a trail you and your family can enjoy together on your getaway. Also visit the Weetock Trail or the Patsy Pond Trail, which give stunning glimpses of the Croatan National Forest. The summer weather on the Crystal Coast extends all the way through the fall. That means you can hit the Outer Banks with a kayak from Beaufort Inlet Watersports, or enjoy some waves with a board from Hot Wax Surf Action Sports Rentals. 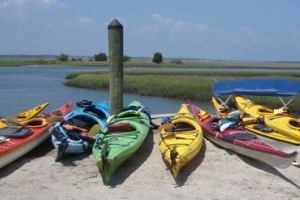 Swimming, surfing, kayaking, tubing and waterskiing are just a few of the plentiful watersports activities you can enjoy when you make the Crystal Coast your fall destination. When the weather begins to cool in October, it’s the perfect time to head to the golf course or the biking trails. You can bring your favorite gear or rent it at one of many shops in the area, such as Island Essentials or HWY 58 Bicycles. The golfers in the family have their choice of no less than eight courses, each of which provides rentals to guests and offers a variety of tees for various skill levels. 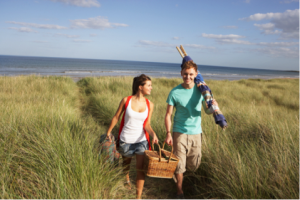 When you travel to Emerald Isle for your getaway, it’s almost a requirement to have a picnic. It is simply one of the easiest ways for families to unwind and enjoy a meal with no boundaries or hassles. If you don’t feel like cooking, you can swing by Beaufort Grocery Company and order one of their delicious deli-style sandwiches or salads. Or consider The Village Market to complete your gourmet picnic. You will have a tough time deciding between a gourmet sandwich piled high with premium meats and cheeses or a salad with one of their homemade dressings. Call them one day ahead and let them know what you want and they will have it ready for pick up the following day. The beaches of Emerald Isle area a perfect spot to lay out a blanket, open your picnic basket and take in the beauty of the Atlantic ocean. At Emerald Isle Realty, we love helping families plan and enjoy vacations that they will never forget. Contact our office today at (855) 893-1962 to learn more about renting one of our many properties for your fall getaway to the Crystal Coast.